Today I have a potpourri of news items to offer. First, let me note with deep gratitude that The Well-Tempered Ear passed 20,000 hits this past week — ahead of schedule, which called for the hope of reaching that goal by tomorrow, March 1. Subscriptions are growing and so is the number of comments — both good signs of more success to come. Thank you, so very much, readers. Others tell me that so many hits in such a short time is a fine amount to have achieved for just six months and for not being affiliated with a newspaper, magazine or a major national organization. Do you have some suggestions for things you would like to see here — either new things or more of the same? Do you want more or fewer CD reviews? What do you most like or dislike about the blog? 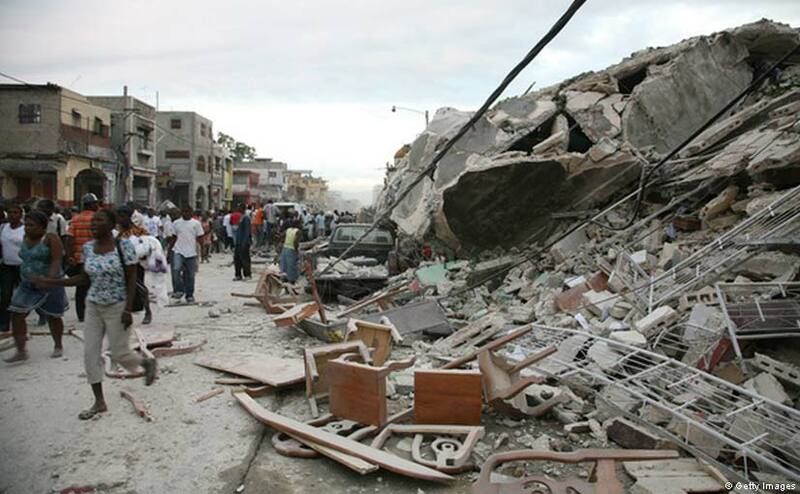 I also want to note that music students at the University of Wisconsin School of Music– student members of the Madison chapter of the Music Teachers National Association — recently gave two benefits concertos to raise money for Haiti earthquake relief. The original fundraising goal was $2,000, according to UW graduate student pianist Paola Savvidou, one of the organizers and performers. But the timing for the concerts wasn’t ideal, at least not to The Ear’s mind. Yet the students are not disappointed. That $1,200 will buy a lot of food and medicine. Or you can also send contributions to Savvidou in care of: MTNA UW Collegiate Chapter, Piano Pioneers, 1454 Humanities Building, 455 North Park Street, Madison WI 53706. You can use the same address to drop of note of thanks or congratulations. 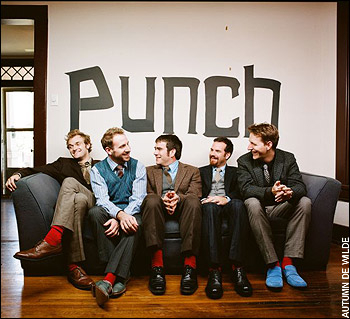 Although I am generally not a fan of crossover music, I want to note that the group Punch Brothers (below) will perform at the Wisconsin Union Theater on this Thursday, March 4, at 8 p.m. The various musicians are clearly virtuosos on the mandolin (Chris Tile, formerly of Nickel Creek) and other string instruments, no doubt about it. And even the New York Times has hailed the Punch Brothers as an emerging genre of chamber music bluegrass that compares to a string quartet. That seems to go a bit far, for my taste — more spin and salesmanship than truth. Classical music may not sell like popular forms of music, but it sure has a lot of cachet and prestige that other forms would like to borrow or tap into. Still, you really have to admire the Punch Brothers’ version of J.S. Bach’s Keyboard Concerto No. 1 in D minor. I don’t know what the quintet’s Madison program will include, but this much is sure: If you go, you will hear some incredible string playing and some very tight ensemble music-making that falls easily on the ears and impresses the intellect. You will also hear some of the kind of native or vernacular American music that inspired classical composers Edward MacDowell, Charles Ives, Aaron Copland and Samuel Barber among others. Tickers are $28, $10 for UW students. Call 608 262-2201 for information and tickets. Today is Saturday — and Saturday morning is the time when hundreds of young teenage musicians from all over south-central Wisconsin descend on the University of Wisconsin School of Music in Madison. There — under the auspices of the Wisconsin Youth Symphony Orchestras (WYSO) — they take lessons and perform in various groups. “On March 13 and 14, more than 300 talented young musicians will light up the stage at Mills Concert Hall with a mix of classical works and modern pieces, including a world premiere by one of WYSO’s own members. “Concert Orchestra will perform at 1:30pm and will treat the audience to such varied fare as Brahms’s “Two Waltzes” and Robert W. Smith’s The Great Locomotive Chase, inspired by events surrounding the railway between Atlanta and Chattanooga during the early years of the Civil War. Philharmonia Orchestra will present a world premiere performance at 4pm with 18-year-old WYSO member Robert Harlow’s piece, Yangzi. In addition to Harlow’s work, Philharmonia will perform Copland’s beloved “Variations on a Shaker Melody,” movements 3 and 4 of Mendelssohn’s Symphony No. 5, and “Thunder and Lightning Polka” by Strauss. 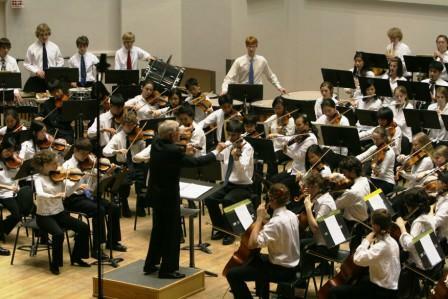 On Sunday, March 14 at 2 p.m., WYSO’s premier performing group, Youth Orchestra, will play Shostakovich’s vibrant Festival Overture, Dvorak’s Symphony No. 6, originally composed for the Vienna Philharmonic, and De Falla’s ballet El Sombrero de Tres Picos (The Three-Cornered Hat). 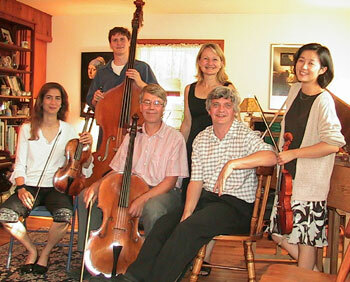 The Winterfest Concerts will be held in Mills Concert Hall in the UW Humanities Building, 455 N. Park Street, Madison. WYSO concerts are generally about an hour to an hour and a half in length, providing a great orchestral concert opportunity for families. Tickets are available at the door, $8 for adults and $5 for children under 18 years of age. Local philanthropists and organizations recognize the value of WYSO. You call tell because the Winterfest project is supported by the Dane County Cultural Affairs Commission with additional funds from the American Girl’s Fund for Children, the Evjue Foundation, Inc., the charitable arm of The Capital Times, and the Overture Foundation. This project is also supported by the Webcrafters-Frautschi Foundation and Diane Endres Ballweg. In addition, this project is supported in part by a grant from the Wisconsin Arts Board with funds from the State of Wisconsin and the National Endowment for the Arts. BUT: You don’t just get to play in WYSO because you show up and walk in the door. And NOW is the time to apply for auditions that will conducted in April. Here is a link to the homepage at WYSO with information about concerts and about auditions. Have you been a WYSO student or parent? What do you think of the experience? Have you heard a WYSO concert? On Tuesday night, March 2, at 7:30 p.m. in Mills Hall, the UW Contemporary Chamber Ensemble (below) will perform a concert of largely contemporary classical music. University of Wisconsin-Madison prize-winning composer Laura Schwendinger (below), who also directs the Contemporary Chamber Ensemble – recently gave The Ear an e-mail interview about the concert and about the state of contemporary classical music in Madison and elsewhere. Q: What are the obstacles confronting contemporary composers today and what can be done about them? A: Quite frankly, the situation is grave in many ways. The economic downturn doesn’t help. Arts organizations across the board are cutting back as they see less support coming in from benefactors. For instance, several granting organizations that have supported the commissioning of new music have suspended their support for this year and possibly the foreseeable future. Orchestras are premiering less new music than in previous decades and larger percentages of their programming efforts are now going into “pops” concerts. In places like New York and Chicago, there are still many performing organizations that somehow prevail and are able to present exciting concerts of new music. But in large portions of our country it’s not easy to find these sorts of concerts. That’s why our mission with the Contemporary Chamber Ensemble, educating young musicians about the music of our time is so important so that they bring this experience out into the larger community where they will eventually have careers. Finally I’d like to invite those who want to see new music flourish in our community, and have resources, to consider supporting our mission through donations to the School of Music. Q: What can you tell about the “Van Gogh Nocturnes” that UW pianist Christopher Taylor (below) will perform – along with Beethoven’s Variations in C minor and Chopin’s Sonatas, Nos. 2 and 3 – on Friday, March 12? A: The “Van Gogh Nocturnes” were written by invitation to the Van Cliburn Composer’s Invitational. 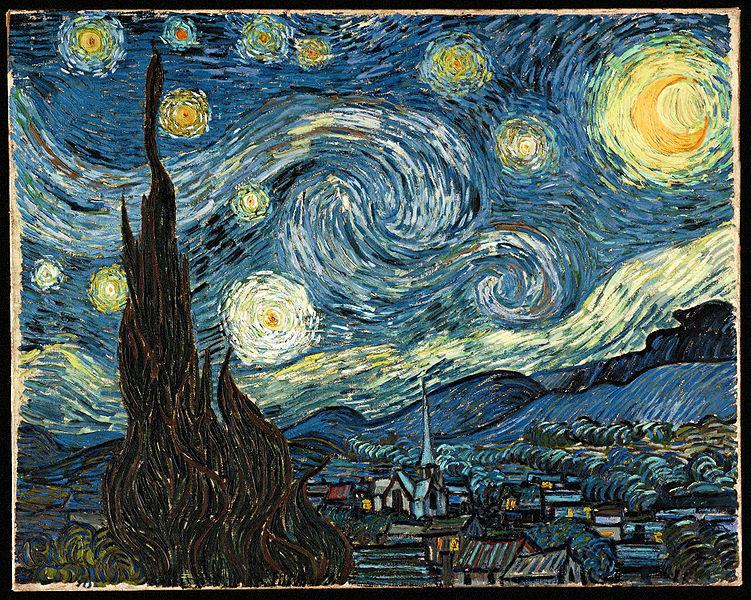 The three-movement set includes “Starry Night Over the Rhone,” “Night Café at Arles” and “Starry Night” (below), each inspired by the paintings by Vincent Van Gogh. I would also like to mention an upcoming concert of my works at the Music Institute of Chicago that is quite an honor for me. They will be playing an entire evening of my works March 6 at the Music Institute in Evanston, by some of Chicago’s greatest musicians. The Four Score Festival 2010 honors three of today’s most esteemed American women composers Augusta Read, Stacy Garrop and myself. The three-day festival, directed by Abraham Stokman, features concerts, lecutures, an exhibit, and workshop presentations. Festival special guest artists and MIC faculty include Rachel Barton Pine, Winston Choi, Matthew Hagle, Dal Niente, Christie Miller, Lincoln Trio, Duo Diorama, James Setapen, the MIC Academy Chamber Players, Caroline Pittman, Julia Bentley, and Roland and Almita Vamos. Have you heard Laura Schwendinger’s music? What do you think of it? What do you think of contemporary classical music and its current state in Madison and the US? A reminder: British pianist Stephen Hough, who will perform with the Madison Symphony Orchestra this weekend, will be the featured guest on Wisconsin Public Radio’s Midday program Thursday. It starts at noon on WERN 88.7 FM in the Madison area. On Thursday afternoon, from 1 to 3 p.m. in Morphy Hall, Hough will give a free public master class at the UW-Madison. This Tuesday night, March 2, at 7:30 p.m. in Mills Hall, the UW Contemporary Chamber Ensemble (below) will perform a concert of largely contemporary classical music. University of Wisconsin-Madison prize-winning composer Laura Schwendinger (below) directs the Contemporary Chamber Ensemble. 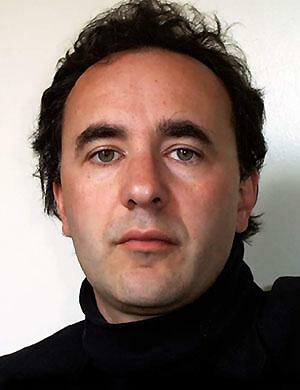 Schwendinger recently gave The Ear an e-mail interview about the upcoming concert and about the state of contemporary classical music in Madison and elsewhere. Q: What is the importance of Nathan Currier and why or how is the UW offering a world premiere? A: Nathan (below) is one of the most celebrated composers of his generation. He has been the recipient of important prizes and awards, such as the Academy Award, given for lifetime achievement, from the American Academy of Arts & Letters, the Rome Prize, Guggenheim, Fulbright, NEA, Fromm, Ives, Barlow, and ASCAP prizes in composition. This is a rare opportunity for our Contemporary Chamber Ensemble to premiere a work by such a composer, as we have no commissioning budget. Nathan will also be giving a master class for composers on Wednesday, March 3, at 3:15 p.m. in Room 2551 in the Humanities Building. We invite the public to this event although seating is limited. Q: How would you describe Currier’s style to laypeople or non-musicians? A: His work is well conceived and immediately attractive, even though rigorously composed. Q: And the styles of other pieces/composers on your program? A: We are doing Kaija Saariaho beguiling “Miranda’s Lament”; Ravel’s glorious “Chansons Madécasses,” a most exciting and dramatic work; an early work, “Dark Upon the Harp,” by Jacob Druckman; a jazzy and lyrical work by percussionist/composer Bob Becker; and a premiere of a work by one of our graduate students Fillippo Santoro. Q: How is contemporary classical music treated at UW? By other performing groups and presenters in Madison? Are we adventurous enough? 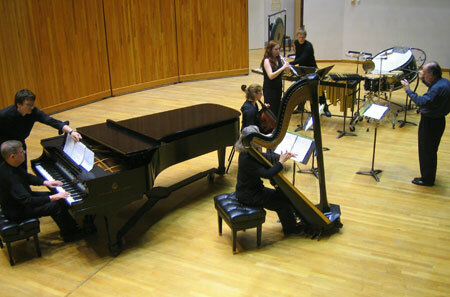 A: Besides the Contemporary Chamber Ensemble, the School of Music as a whole is very supportive of contemporary music. For instance, our wonderful orchestra director James Smith, holds a new music reading session at the end of the each semester. Students actually get a chance to hear their works read by the orchestra. In addition, several studio heads are also great supporters of new music. Tony Di’Sanza, our amazing percussion professor is constantly premiering new works with his ensemble and his terrific partner, pianist Jessica Johnson. Sally Chisholm, Mark Hetzler, Les Thimmig and Christopher Taylor are all extraordinary supporters and presenters of new music. I also hope, in my capacity as the artistic Director of the Contemporary Chamber Ensemble, that one day my teaching load will include my ensemble. Currently I offer the work with my group as an overload because I believe strongly that the music of our time is living music, and the performance practice of it must be part of any School of Music curriculum. Q: What about off-campus? What approach would you like to see? As for the greater Madison area, although there have been great concerts and events, there are ways the city could explore the power of new music more. Some of the established performance organizations could program more challenging new music. My philosophy in programming for the CCE is to perform mostly living composers. For our March 2 concert, we will perform four works by living composers, a work by a woman and two premieres. That sort of approach promises the listener a new adventure, a challenging one yes, but one that is filled with discovery. Although I’m sure it’s daunting for presenters to program music they feel will challenge their listeners, it is only with exposure to new music that one learns to enjoy and understand the rhetoric of it. This is an investment of time well worth it, for new music has so much to offer. One other way Madison can support new music is in attendance of concerts at the University and by other ensembles that offer it. For instance, the CCE takes part in a consortium with the fantastic new music ensembles of the Universities of Iowa and Minnesota. Each new music ensemble tours the other participating schools presenting extraordinary concerts of new music. Even though we publicize them as much as we can, we see small audiences for those concerts and would love attendance to grow for them, as they are such strong programs. They are free and open to the public. The University of Iowa performs at UW April 9 and the University of Minnesota performs here on April 24. The big classical music event this week is Madison is the program by the Madison Symphony Orchestra, which features the returns of British pianist Stephen Hough and Estonian guest conductor Anu Tali. The program includes the popular and passionately tuneful Piano Concerto No, 1 in B-Flat minor, Op. 23, by Tchaikovsky (the same surefire work that Van Cliburn rode to fame) as well as Finnish composer Jean Sibelius’ little known Symphony No. 1 and the 20th-century work “Dawn” by the Estonian composer Heino Eller (1887-1970). Performances are in Overture Hall on Friday at 7:30, Saturday at 8 pm. and Sunday and 2:30 p.m.
Tickets are $15-$75. Visit http://www.madisonsymphony.org/hough or call the Overture Center box office at (608) 258-4141. I am giving this concert a MUST-HEAR rating for several reasons. The Tchaikovsky never fails, except perhaps in a realty dreadful performance, to thrill listeners and get them jumping out of their seats as soon as it ends. 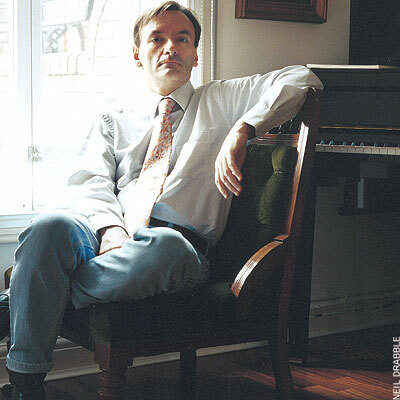 Plus, Stephen Hough (below) is among the most interesting and exciting pianist on the scene today. A renaissance man who blogs, writes poetry, paints and composes, Hough rarely turns in an uninteresting performance, and there is no reason this concert should be different. In April, his recording of the complete Tchaikovsky piano concertos, with the Minnesota Orchestra and conductor Osmo Vanska, will be released. The last time I heard Anu Tali (below) with the MSO, she was a firecracker. Her performance was exciting and her podium presence was riveting. It is also refreshing to see a woman on the podium and in charge. Finally, this concert offers things to learn through the Sibelius First Symphony and the Estonian composer Heino Eller. 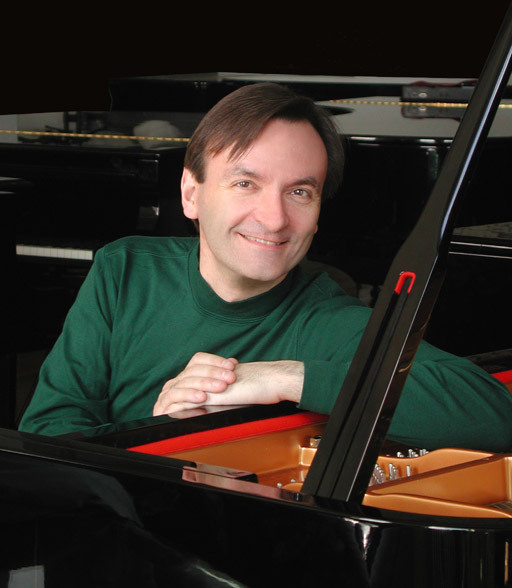 NEWS FLASH: Also, piano fans and Stephen Hough fans might especially be interested to learn that Hough will conduct a FREE AND PUBLIC MASTER CLASS at the UW School of Music this THURSDAY from 1 to 3 p.m. in Morphy Hall. Four students will perform: Monica Schultz (undergraduate who studies with Christopher Taylor) in Mozart’s Sonata in A minor, K. 310; Chaoyin Cai (doctoral student who studies with Christopher Taylor) in Chopin’s “Polonaise Fantasie,” Op. 61; Margie Runaas (a master’s student with Todd Welbourne) in Schumann’s “Faschingsschwank aus Wien” (Carnival Jests from Vienna), Op. 26, movement 1; and Ji Young Noh (a doctoral student with Martha Fischer) in Chopin’s “Bolero,” Op. 19. For Friday’s free Noon Musicale at the First Unitarian Society, from 12:15 to 1 p.m. violinist Kangwon Kim (below, on right, seated with members of the Madison Bach Musicians) and pianist Li-shan Hung, piano play works by Mozart, Messiaen and Brahms. The concert is at the First Unitarian Meeting House, 900 University Bay Drive. If you miss that performance, the same players will perform on Sunday at a different venue – and with a much larger reach. This week’s “Sunday Afternoon Live From the Chazen” concert features the same violinist, Kangwon Kim. The concert takes place from 12:30 p.m. to 2 p.m. in Brittingham Gallery III of the Chazen Museum of Art. Kim will be accompanied by pianist Lis-shan Hung and violist Matthew Michelic. As usual, the concert will be broadcast live by Wisconsin Public Radio (88.7 FM in the Madison area). The program will feature Olivier Messiaen’s “Theme and Variations” for violin and piano, Johannes Brahms’ Sonata for violin and piano in D minor from Opus 108, as well as Mozart’s Sonata for piano and violin in G major and his too rarely heard Duo for violin and viola in B-flat major. Kim is a versatile violinist with a repertoire ranging from baroque to 21st century, using both baroque and modern violins. She has given solo and chamber recitals throughout the U.S., Korea, Canada, Puerto Rico, Switzerland and Norway. Hung serves as Associate Professor and the Keyboard Area Coordinator at Biola University in La Mirada, California. 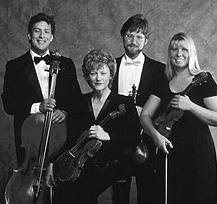 Michelic has performed throughout the U.S. and internationally as a member of the DaVinci and Delos Quartets, the Milwaukee Symphony and the Aspen Festival Orchestra. On Sunday, Feb. 28, at 2:30, the Edgewood Chamber Orchestra will perform in the St. Joseph Chapel under director Blake Walter. The event spotlights concerto competition winner Brianna Buhr (below), a soprano voice major, who is studying with Kathleen Otterson at Edgewood College. The performance will include works by Rossini, Pärt, Handel and Mozart. Admission is $5 admission, or free with Edgewood College ID. It’s generally a pretty quiet week over the University of Wisconsin School of Music – lots of faculty play in the Madison Symphony Orchestra, after all. But there is one minor exception and one major exception. On Sunday, at 6: 30 p.m. in Morphy Hall, the UW student group After Hours Brass Quintet will perform an unspecified program. On Tuesday, March 2, at 7:30 in Mills Hall, the UW Contemporary Chamber Ensemble will perform under the direction of UW award-winning composer Laura Schwendiger (below). The program features the WORLD PREMIERE of “Looking Out” for mezzo-soprano, tenor, clarinet, horn, cello and piano by contemporary American composer Nathan Currier (below). Other works include Kaija Saariaho’s “Miranda’s Lament”; Ravel’s “Madecasses Songs”; “Dark upon the Harp” by Jacob Druckman, “Cryin’ Time” by Bob Becker and “Melos ophiae” by UW student composer Filippo Santoro. Performers in this concert include UW-Madison piano lecturer Ina Selvelieva and adjunct percussion instructor Neil Sisauyhoat, as well as the following students, alumni and guest artists: soprano Jennifer Lien, mezzo-soprano Consuelo Sanudo, tenor David Redick, cellist Alison Rowe, clarinetist Rosemary Brumbelow, horn players Elysa DiMauro and Katie Johnson, percussionists Ian Disjardin, Todd Hammes and Megan Shieh, pianist Jonathan Kuuskoski, trombonist Dylan Chmura-Moore, trumpeters Logan Brown and Daniel Cross, tuba player Stephanie Frye, violist Nicholas Jeffery, violinist Wes Luke and conductors Ching-Chun Lai and Thomas Lang. Currier is a winner of the lifetime achievement award from the American Academy of Arts and Letters, as well as the Rome Prize, Guggenheim Fellowship and other awards. His work has been performed by groups including the Brooklyn Philharmonic, the Saint Paul Chamber Orchestra and, this season, the Berlin Philharmonic. Notable soloists who have played his compositions include pianist Leon Fleisher, tenor Paul Sperry and violinist Anne Akiko Meyers. Currier, who will be present at the premiere, will be giving a composition master class on Wednesday, March 3 at 3:15 p.m. in Room 2551 of the Humanities Building. The public is invited, although seating is limited. If you wonder why we don’t hear more contemporary classical music, consider the timing: You could hardly pick a night for a lower profile than Tuesday night. It’s a mid-week date, a work night and school night, so to speak. One can only imagine how the attendance for a world premiere might increase if the concert took place on, say, a Saturday night. It seems to The Ear that a nationally prominent School of Music is the perfect place for new and experimental music to receive a higher profile and more prominent place for a larger hearing. It makes the contemporary more mainstream and normal, less rare or exotic. And about the role of contemporary classical music in the cultural life of Madison? Classical music interview: Pianist Stephen Hough discusses blogging, new recordings and how to atttract young people to classical music. Part 2 of 2. British pianist Stephen Hough (below) is something of a renaissance man. At 48, he performs around the globe and records on the piano in solo, chamber and concerto music. He composes music. He writes and blogs prolifically. He paints and writes poetry, and has won awards for both. He champions rarely performed composers and works. He takes his own photos for his blog, and, as an openly gay man who converted to Catholicism when he was 19, he writes about theology and social issues. A graduate of the Juilliard School in New York City, he won the Naumberg Competition in 1983 and in 2001 received a MacArthur Foundation “genius” grant. He has dozens of recordings currently in print and has won many awards for them, including the complete piano concertos of Rachmaninoff and Saint-Saens. Hough will be in Madison this weekend (Feb. 26-28) to give three performances of the Tchaikovsky’s popular and famous Tchaikovsky Piano Concerto No. 1 in B-Flat Minor (the same one Van Cliburn was famous for) with the Madison Symphony Orchestra under returning guest conductor Anu Tali of Estonia. Performances are in Overture Hall on Friday at 7:30 p.m., Saturday at 8 p.m. and Sunday at 2:30 p.m. Also on the program are Sibelius’ Symphony No. 1 and the Madison premiere of the work “Dawn” by Estonian composer Heino Eller (1887-1970). Tickets are $15-$75. For information or reservations, visit madisonsymhpony.org or call The Overture Center box office at (608) 258-4141. Hough recently agreed to an e-mail interview with the blog “The Well-Tempered Ear.” Yesterday, he discussed the Gay Tchaikovsky and the “warhorse” PIano Concerto No. 1 as well as the reasons for Tchaikovsky’s popularity. Today, he discusses his blogging, his recordings, his controversial remarks about not connecting with the music of J.S. Bach and his idea about how to attract young audiences to classical music. Despite your hectic touring and recording schedule, you are a prolific blogger who posts about every other day. Why do you blog? What do you most enjoy or find rewarding about blogging? How many hits do you get in a day? How does blogging affect your performing career and vice-versa? I began blogging because I was asked to! I don’t think I would have started off my own bat, but having the opportunity to write a regular column for one the great British newspapers was very tempting. Although when I started I thought I’d not get beyond a dozen articles, I’ve since seen it as a wonderful way to put down thoughts that before I used to scribble on bits of paper and throw in a drawer. Not only can I write (which I’ve always loved to do) but I can interact closely with my audience, but without losing my privacy. My blog gets between 8,000 and 16,000 hits a week, and I’ve done close to 200 posts over the past year. My only stipulations when I started were that I would not be a critic and comment on living artists, and that I would write about things other than music. 2010 is a Chopin and Schumann Year. How will you be marking it in concert and in recordings? What is on your Chopin recital CD and when is it due for release? Is a Schumann CD is the works? I have a Chopin CD coming out., also in April this year. It’s called “Late Masterpieces” and has on it the B minor Sonata, Barcarolle, Berceuse, Polonaise Fantaisie, the two op. 62 Nocturnes and some mazurkas. There is no Schumann CD planned at the moment, although I adore his music too. You recently wrote in your blog that you don’t really like the music of J.S. Bach as much as you should or others might expect. Why not? What has been the reaction from readers and other musicians to your admission? Ah, but that’s the confusion. I actually said I don’t LOVE Bach, and used it as a springboard to discuss why we feel close to some composers and not to others. I like Bach, and I admire him more than any other composer. But I just don’t feel a deep connection with him in the very root of my being. Some people have been surprised by this; some have been shocked (as if I announced in 16th century Rome that I no longer believed in God); and others have agreed with me. How do you think classical music can reach newer and younger audiences? Perhaps by not being too worried by it! Young people will never want to do what their parents do socially, so all we can do is to make sure we have confidence in the quality of great music, perform and program it at the highest level, keep our own love for it fresh, make it available … and then trust. You compose a lot and transcribe music for the piano. How does that activity fit into your career as a performer? Actually, I write very little for the piano. I’m much happier writing for choir, or cello, or piccolo, or other instruments in a way. I’m making an exception now as I’ve been commissioned to write a piano work for the 2010-11 season. It will be a set of small, intense, desolate pieces with a winter theme – some of them less than a minute long. The last piece I wrote with piano was my trio for piccolo, contrabassoon and piano, and was commissioned by members of the Berlin Philharmonic last year (“Was mit den Traenen geschieht”). There are plans to record this for BIS next year. Classical music interview: Pianist Stephen Hough discusses the gay Tchaikovsky and praises the “warhorse” Piano Concerto No. 1. Part 1 of 2. Hough will be in Madison this weekend (Feb. 26-28) to give three performances of the popular and famous Tchaikovsky Piano Concerto No. 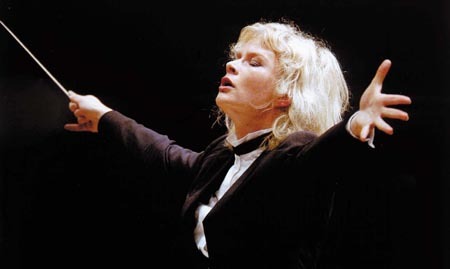 1 in B-Flat Minor (the same one Van Cliburn was famous for) with the Madison Symphony Orchestra under returning Estonian guest conductor Anu Tali (below). Many critics and scholars dismiss the music of Tchaikovsky, and especially denigrate his Piano Concerto No. 1 as little more than an overplayed warhorse. Yet the public loves the work and the so-called “unplayable” concerto helped launch the careers of such virtuosos as Van Cliburn, Vladimir Horowitz, Arthur Rubinstein and Sviatoslav Richter among others. What is your own view of the First Concerto? How good is it as music and as a vehicle for the piano? What are its best points and its drawbacks? Why do you play it? I haven’t the slightest doubt that Tchaikovsky’s First Concerto is a masterpiece from every viewpoint. It is chockfull of some of the best tunes ever written; it is exciting, tender, whimsical … all you could want. And it “works” as a structure, even if the opening introduction might seem disconnected on paper. The piano writing is certainly awkward (many pianists say that they find the Rachmaninov Third easier to play than this monster), but it always sounds good. It’s really the first piece in history fully to combine the virtuoso and symphonic styles in a concerto. Hummel, Chopin and Liszt gave us the former, and Beethoven and Brahms gave us the latter. But here we have both together. You have recently recorded all the Tchaikovsky works for piano and orchestra. What makes Tchaikovsky’s music in general so appealing to the public and to you? What is it about his compositional style that reaches people? Perhaps the quality that is most appealing to the public is a kind of emotional honesty. Tchaikovsky is not afraid to wear his heart on his sleeve, and while we listen to his music we find the courage — if only inside us — to do the same. There is a sense of internal release involved. Also, apart from the intensely expressive moments, he takes us into a magical world of fantasy. The world of the ballet is never far away, and the second movement especially of the First Concerto reminds me of this. I see a young girl at Christmas … full of wonder, innocence, dreams, games. This can be spoiled, I feel, by too slow a tempo (it’s Andantino Semplice … flowing and simple). Which Tchaikovsky piano concerto is your favorite? Which one is the most underappreciated and underperformed? I like the First and Second equally, but also have a soft spot for the Concert Fantasia. It certainly should be heard more often. You yourself are an out and self-identified gay man while Tchaikovsky was a closeted and oppressed gay man. Do you see any ties between his sexual identity and his music? Do you feel a special affinity with him and his music, or see a reason to champion his music because of his sexual identity? It actually appears from his letters — particularly the ones which were censored and suppressed during the Soviet years — that Tchaikovsky was much better adjusted about being gay than we thought. Of course, this doesn’t suit those who would see homosexuality as an automatic recipe for depression and self-hatred. It was not possible to live a normal, family life with another man in Tchaikovsky’s lifetime, but it was widely known that he was gay — particularly amongst the upper classes of Russian society, and it doesn’t seemed to have bothered anyone very much. The real emotional crisis of his life (and the only time he considered suicide) was when he married in mid-life to try to fit into conventional society. This catastrophe lasted only a few weeks. He was certainly a man with a highly volatile emotional life — his father too was often reduced to tears out of sheer emotional stress when both happy and sad — and so I feel a warm sympathy with a composer who could let his inner soul be seen by those of us who play or listen to his music. But I don’t think his homosexuality makes me connect more intimately to him as such. Do you have any comments about our neighbors, the Minnesota Symphony and its conductor Osmo Vanska, with whom you have recorded all the Tchaikovsky concertos? When is the Tchaikovsky set slated for release? The release date is April 1st this year. We had the most intense time recording these works in four weeks of concerts. The music is highly charged for a start, and if you add to that that the recording is “live,” you have adrenaline flowing in copious amounts. But the Minnesota Orchestra and Osmo are one of the great musical teams in the world, and it was a fantastic experience to be able to do this project. It’s a moving tale, based on the story “The Bear Came Over the Mountain” by the Canadian master short story writer Alice Munro, of a wife and husband who must confront her progressing Alzheimer’s. I had the seen the film before, when it first came out, but this time I had another one of those epiphanies, those moments when things make a new sense. Early in “Away From Her,” you hear the famous first Prelude in C major from J. S. Bach’s “The Well-Tempered Clavier,” Book I. That’s the same great and gentle piece, so flowing and so melodically and harmonically rich, that was later used as settings of “Ave Maria” by Schubert and Gounod. It’s a famous piece, one of the most recognizable in all classical music..
Then she goes out alone, cross-country skiing. And she gets lost and can’t find or remember her way home. And you hear the same Bach theme — but this time with some kind of variation or descant playing as an overlay. So like Julie Christie’s character in the movie, you too are confronted with something that seems at once familiar and unfamiliar. One can only imagine that confusion growing more and more intense. It’s a great example of “mimesis,” of art imitating life. If you get a chance, watch the film, and see what you think. It is very well scripted, directed, acted and photographed. And if you know more great uses of classical music in movies, please let me know. 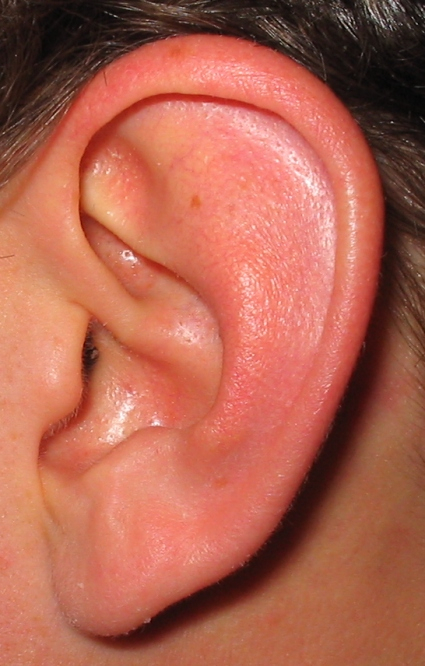 The Ear wants to ear. 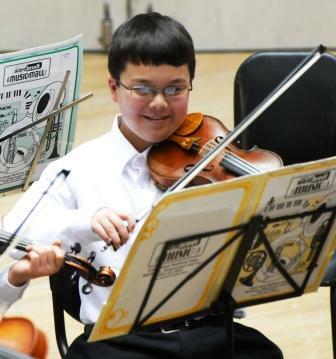 The Wisconsin Youth Symphony Orchestras (WYSO) Board of Directors has announced the 2010 Rabin Youth Arts Awards recipients. Michael George (below), who currently serves as Executive Director of the Wisconsin School Music Association, has been designated the winner for artistic achievement, and the Madison Jazz Society is this year’s winner for philanthropic support. Two special recognition certificates will also be presented this year. They will be received by Dr. Gary Lukes, an optometrist from Spring Valley, Wis., and Barbara Schrank, a music education advocate from Madison, Wis.
A large, statewide group of nominators submitted numerous deserving individuals and organizations, representing all arts mediums. 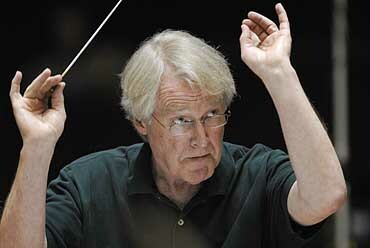 Michael George (below) has influenced music education on both the state and national levels. Currently serving as Executive Director of Wisconsin School Music Association, Wisconsin Music Educators Association and the Wisconsin Foundation for School Music, George began his career as an instrumental music educator in Dodgeville. Over the past 50 years, his career has also included positions with the University of Wisconsin, the Wisconsin Department of Public Instruction and as Fine Arts Coordinator for Madison Metropolitan School District. During his leadership of WMSA and WMEA, Mike has been instrumental in the creation of numerous programs benefiting music teachers and students across the entire state and also in the creation of the Wisconsin Foundation for School Music. George continues to work passionately and tirelessly to serve the cause of music education. He has a thoughtful manner that garners the respect of teachers, administrators, legislators and politicians. His creativity is endless and his dedication to arts education like no other. The impact he has made on arts education in Wisconsin has placed the state at the forefront of educational models and highly regarded by peers. The Madison Jazz Society (MJS) was formed in 1984 to provide a common meeting ground for all persons interested in jazz; musician, listener, collector. MJS endeavors to preserve, encourage and stimulate interest in jazz music; to foster and advertise creators of jazz music; and to exchange helpful information which may be instructive or entertaining to members. MJS is an all volunteer organization which relies solely on donations from its members and other supporters. Over 25 years, MJS has awarded nearly $70,000 in grants to schools all over the state of Wisconsin. They have provided funding for more than 35 schools across the state of Wisconsin to assist with the purchase of music and equipment, sponsor national level clinicians, enable participation in jazz festivals, and support statewide and national travel. MJS has also awarded over $15,000 in additional scholarship funds to high school students entering college to study music with an emphasis on jazz and for high schools students to attend summer jazz music camps. 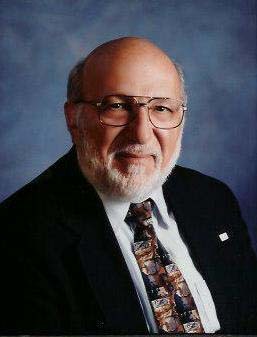 Dr. Gary Lukes has influenced numerous children through his founding of the Spring Valley Stagehands Theatre program in Spring Valley, Wisconsin. His gentle teaching and wonderful work ethic has shaped children, turning them into people who are more confident with themselves and encouraging of others. Located in a small valley with a population less than 1,000, Lukes started the program in 2004 with the musical “Pippin.” He spent hours in the theater designing, building and painting sets and updating sound and light equipment. When it came time to cast and teach the roles, Lukes seemed to perform miracles with inexperienced young actors. Indeed, he changed their lives forever. The success of the show was so broad, the community begged him to continue the program with different musicals. The children who participate are growing into confident adolescents with a passion for theatre arts and the people involved in them. Dr. Lukes’ efforts have touched and enriched the entire community. Barbara Shrank is recognized for her advocacy work in string music education in the Madison Metropolitan School District. She has worked tirelessly to preserve music education opportunities as the school district has faced significant budget cuts and thus decreases to the string music course offerings. Her strong belief in the importance of music education for all, particularly those who are not financially able to pursue it outside the school setting, has led her to lobby the MMSD school board to protect and support the educational rights of all children. In 2002, when the demise of the fourth-grade strings program (see below) seemed imminent, Schrank helped in collecting and analyzing research and historical data about elementary strings, music education and the district’s budget and financial decision making. 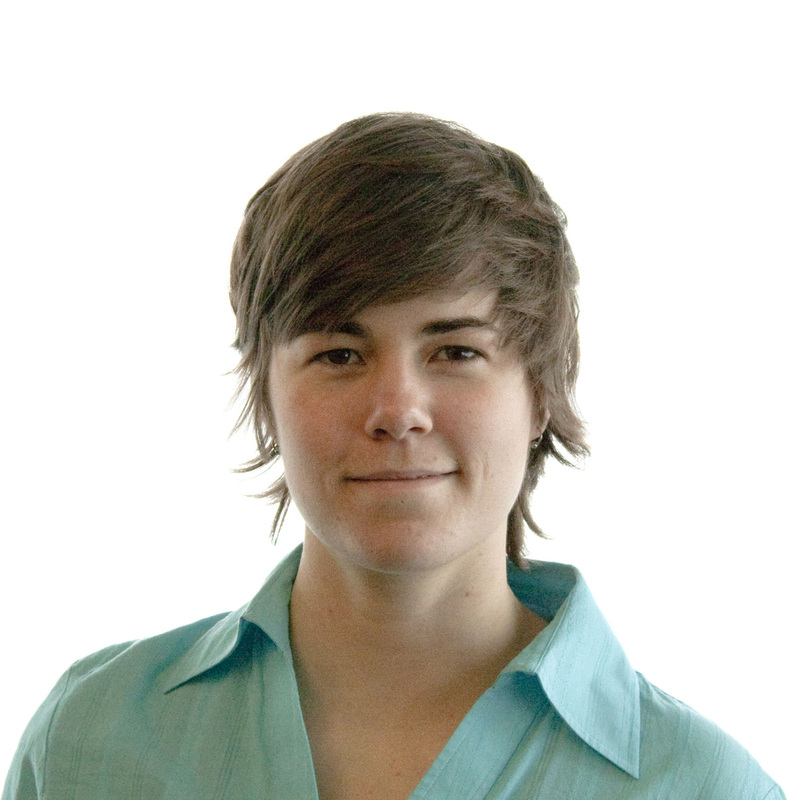 Schrank’s strategic emphasis has been community-based. She works diligently to get information out to the community and encourages local citizens to communicate with the school board, voicing the desires of the community regarding educational value. Her leadership, dedication of vast amounts of time, and her tireless, committed efforts have led to more support for music education and preservation of music courses. 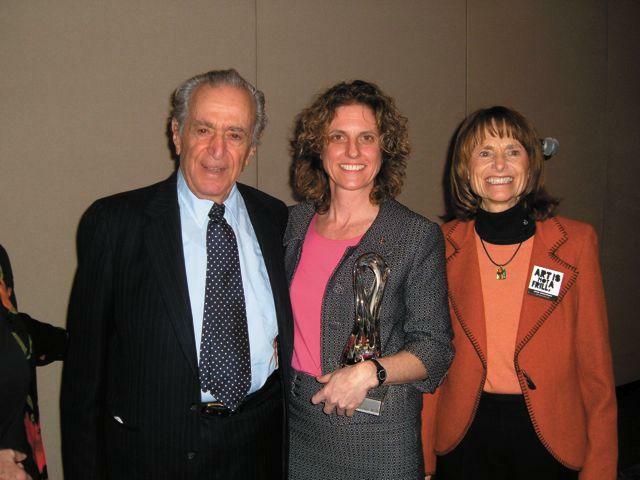 The Wisconsin Youth Symphony Orchestras, located in Madison, Wisconsin, presents the Rabin Youth Arts Awards in honor of their founding conductor, Dr. Marvin Rabin, as a means to honor those who follow in his footsteps. The awards are a forum for promoting quality youth arts programs and honoring those who work diligently to provide arts opportunities for children throughout Wisconsin. They also serve as a means to elevate awareness in our community about the importance of arts education for all children. 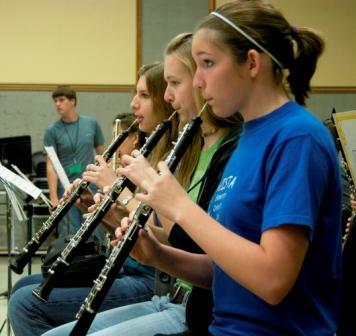 Now celebrating its 43rd season, WYSO membership has included more than 5,000 young musicians from more than 100 communities in southern Wisconsin. WYSO, currently under the artistic direction of James Smith, includes three full orchestras, a string orchestra, a chamber music program, a percussion ensemble, a harp ensemble and a brass choir program. All four recipients sound like extremely worthy recipients, and The Ear sends out best wishes and congratulations to all four and to WYSO for their wisdom in making such choices. They represent model citizens in their support of music and the arts for young people and local communities. Do any readers have comments to leave in the way of information or good wishes and congratulations to the award recipients? Today’s post is about classical music versus Classical music. The term “classical” (small c) refers to the overall style or kind of music. The term “Classical” (capital C) covers the Classical era from the 18th and early 19th centuries. This past week has been a good one for Madison fans of classical music from the Classical era. Four composers form the core of the Classical era repertoire: Haydn, Mozart, Beethoven and Schubert, with the last two veering off in proto-Romanticism late in their careers. All knew each other in Vienna; all learned form and even emulated the others. And they remain one of the highest summits of Western classical music. Thursday night the University of Wisconsin’s Pro Arte String Quartet (below, in a photo by Katrin Talbot) performed an all-Classical program of Haydn String Quartet in C major, 74, No. 1; Mozart’s dark and moody String Quartet in D minor, K. 421; and Beethoven early String Quartet in G Major, Op. 18, No. 2. As you might expect from past performances, these seasoned pros brought all the necessary elements that make for great Classical interpretations. Verve and restraint were held in check in precisely the right proportions — and proportion is key to Classical classical music. But it is good to recall legendary pianist Artur Schnabel’s quip about Mozart being too easy for prodigies and too hard for professionals. There isn’t much cover to hide your mistakes. Classical-era music is difficult to play. Done well, this hard music sounds easy, deceptively easy. And that’s what the Pro Arte did. More surprising to The Ear than the Pro Arte was the outstanding performance by the UW Chamber Orchestra (below) under conductor James Smith last Sunday afternoon. The free concert was like a Valentine’s Day treat for Classical music lovers, and deserved its surprisingly good attendance. True, the concert opened with Arnold Schoenberg’s rarely heard Chamber Symphony No. 2, Op. 38, from 1939. It proved a great modern parallel to the Haydn symphony that followed. It’s not bad, as Schoenberg goes — I am not a great Schoenberg fan — and the players did very well in the masterfully orchestrated score. I also realized how close Schoenberg, whose music can seem dry and academic, often came to being atmospheric in the same way that TV and movie scores often are. That’s probably heresy, but so be it. But then came the big Classical – and classical — payoffs. 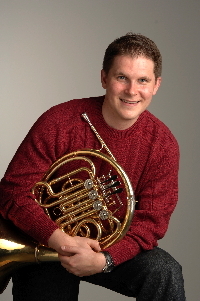 The awards-winning UW 2004 master’s graduate,French hornist Bernhard Scully (below), performed Mozart’s Horn Concerto in E-Flat Major, KV 437 — perhaps the most famous of the four horn concertos Mozart composed, with a gorgeously lyrical slow movement and the well-known hunting song, repeated-note finale. But the highlight for me was the concluding second-half: Haydn’s “Drumroll” Symphony No. 103. It’s hard to find fault with such a performance. The playing was tight in each section, from the ear-opening namesake percussion at the start, through the strings and winds and brass. The tone was rich and secure. The interpretation projected Papa Haydn’s famous wit and humor, his cheerfulness. But the playing had verve and the drama, much of it from upbeat tempi, sharp attacks and the silence of rests. 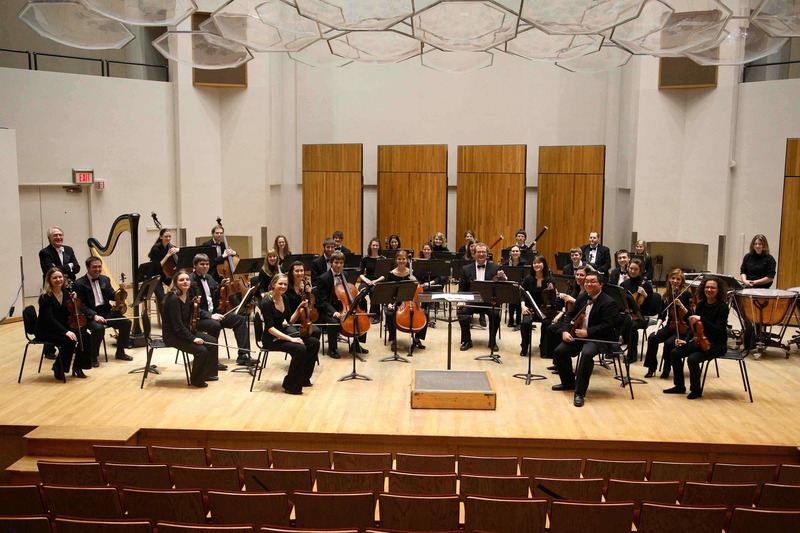 If you do not regularly attend concerts by the UW Chamber Orchestra and the UW Symphony Orchestra, you are missing some great music making – all for the extravagant sum of FREE admission. But freee does not, in this case, equate to second-rate or inferior. Gray’s notes were a pleasure to read. And too often UW School of Music concerts go without good program notes — am unexpected disappointment for such a fine school of music. Gray sets a model for how program notes should be done. Here’s hoping he writes more of them for the UW — and maybe for other classical music groups in town. If you were at either of the two concerts, what do you think of them? What do you think of Classical-era classical music? Do you have a favorite Classical composer and work?